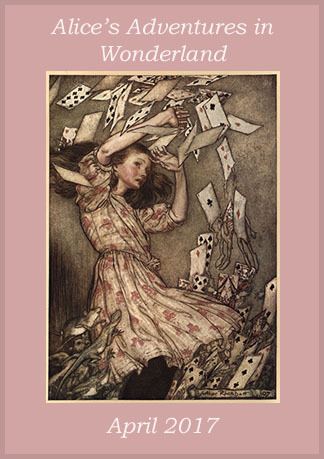 It’s here, time for discussion of our thoughts on Lewis Carroll’s Alice’s Adventures in Wonderland! If you’ve never read Alice before (or are more familiar with any of the several film adaptations), was there anything that surprised you? Did you feel as lost as Alice? What just is this book about? Leave links to your posts in the comments, or feel free to discuss below. What is the book not about, that might be easier to answer. Likely, but I’m not sure either is an easy question. But for that matter, now having finally finished my reread, nor am I sure I care about the answer! You’re welcome! I’m so glad you were able to read along.